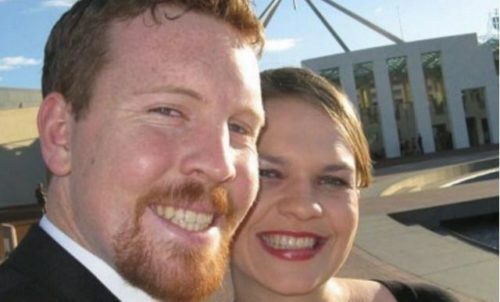 Will this Australian couple make good on promise to divorce if marriage equality passed? A couple who have said they will divorce if Australia legalizes marriage equality might be facing the holidays alone, as the country’s postal survey just came back with a resounding yes. Nick and Sarah Jensen have been saying since 2015 that they would divorce if marriage equality was brought to the country. They have been married for over a decade. “By changing the definition of marriage, ‘marriage’ will, in years to come, have an altogether different sense and purpose,” Nick Jensen, who was employed by the Australian Christian Lobby at the time, wrote in Canberra City News. No word yet from the couple on if they plan to actually go through with their possibly empty threat, but plenty of people are taking this opportunity to urge them to do just that if slash when marriage equality becomes the law of the land. So, have Nick #Jensen and his wife filed for #divorce yet? They said they were if #SSM became law. Might be a good idea to get the ball rolling early; otherwise they might have to wait in the queue behind all the #SSM marriages.